Broadway actress Vivien Eng, best known for her role in 1996's "The King and I" revival, died on Thursday of injuries suffered in a fire at her New York City high-rise apartment on Wednesday. She was 51. "The Good Wife" actor and Eng's neighbor Dylan Baker attempted to rescue her, but was unable to reach her through the flames in her apartment on the 33rd floor of the Manhattan Plaza building in the city's Hell's Kitchen neighborhood. He called 911 and hurried his family out of the building. "When I opened the door, it was a full-fledged fire," he told NBC New York. "It was terrifying." Baker noticed flames coming from his neighbor's apartment while returning home around 4:30 p.m. on Tuesday. "I banged on the door and shouted her name," Baker said. "I opened her door — I was surprised to find it open — and there were flames everywhere, and smoke was coming out at me so I had to slam the door." 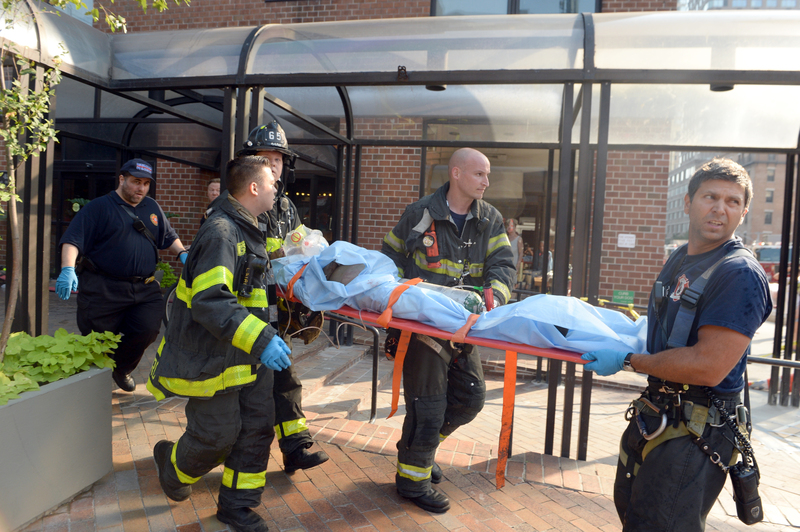 Firefighters got the fire under control and found Eng unconscious on the floor of her apartment, according to NBC. She was admitted to the burn unit at New York Presbyterian Hospital, but died of burns to the head and torso and smoke inhalation. According to DNAinfo, the fire was sparked from "smoking materials" that hadn't been properly extinguished. Eng danced the role of Eliza in a London revival of "The King and I" and the role of George in an international tour of the musical. She appeared on the TV show "Law and Order" and the films "Precious" and "Away We Go."